I hope that this page helps you out in some way! If you know of any websites that would help people out please out let me know,so i can put it here!Let's all help each other out, we can get alot accomplished together! *If you want to compare eBay and Amazon prices checkout www.Q-Compare.com. Save time by finding out whether you'll get a cheaper price for an item on eBay.com or Amazon.com by using this dual search engine. *To find local deals instantly go to TheDealMap.com. Enter your Zip code, and the deal map scours the internet for coupons and discounts, then pinpoints the results of its search on a handy neighborhood map so you know exactly where to go. *Next time you're online shopping, go to www.currentcodes.com or www.couponcabin.com to see if you can get promo codes or coupons for the sites where you shop. * Check out this website i found in my trusted magazines that i love to read. If you hate leaving beauty products behind when you fly because you don't want to check them. At www.3floz.com you can order dozens of brands of beauty staples in TSA-regulations 3-oz bottles. Just think of how much more stuff you can put in your luggage now that you have travel size products in there. If you know of a cool website we can all benefit from leave me a comment about it and I'll post it. * Free credit report with no charge. www.annualcreditreport.com. Fico score there is a charge. Go to www.myfico.com. No computer phone# 1-877-332-8228. Go to my tips link for more info on this subject. *Hot Website:Save Big On Sales Tax Holidays If your gearing up for back-to-school shopping. Well listen up , before you open your wallet, check out the 2010 sales tax holiday calendar at www.TaxAdmin.org/fta/rate/sales_holiday.html to pinpoint which days your state, or one nearby,is making clothes,shoes,books,computers,sports equipment and school supplies sales-tax-exempt! Getting the free samples and coupons are great. When i think about our soldiers who are fighting for all of us and an opportunity comes by to help out, knowing that i have an outlet to reach so many people where i can spread the word, i have to take advantage for a good cause. This weekend was busy for me. . Saturday we went to the 18th ave, Brooklyn feast, which is the biggest and the best that's around these days. Sunday i had a bridal shower. There was a stand at the feast that caught my eye. This organization is called Wounded Warrior Project, they were there accepting donations for our wounded soldiers. God i thought if we could all help one person get his legs or arms back with donations, i know we would all think what a great thing we did to help them out after they gave up themselves to help all of us out in this world. I just want to raise awareness, and then the rest is up to you. So let me tell you what there mission is. The mission of Wounded Warrior Project is to honor and empower wounded warriors. Go to www.woundedwarriorproject.org and check it out for yourself. Its a great organization. They also told me that all the proceeds goes to help them out. 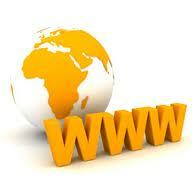 My Woman's World book had two great websites that i want to share with you. If your curious about how long you can keep hardboiled eggs in the refrigerator before they spoil? How to germ proof your kitchen? Or how to properly pack leftovers ? All your food storage and handling questions are answered at this website sponered by the U.S. Department of Health & Human Services, with clear, easy to follow instructions. Isn't that a great informative website to know about? I think its great. Go to www.FoodSafety.gov and answer all your questions about food storage and handling 411. You don't need to scan circulars every day to watch for price reductions at various retailers-let the website do it for you.! Simply register the item and price with a site like PriceProtectr.com or PriceGrabber.com and you'll be automatically notified if its been marked down. What a big time saver this website could be. Especially now that the holidays are almost upon us. These will be also posted in my website page over to the left. I hope everyone had a wonderful Memorial Day! With that in mind i thought i would let you know that if you have expired coupons you can donate them to the Military families! I think its a wonderful way to get rid of your expired coupons!! Military bases will accept expired coupons for 6 months past their expiration date. Instead of tossing them in the recycling bin, put them in an envelope & send them to a military base overseas. All the information on this program can be found here. This is such a great way for you to show how much you want to help them! Know When To Get Your Beauty Brand Freebies!!! Everyone take a look at this website i just read about in my Cosmo book! A few times a year beauty brands offer a freebie with your purchase at department store counters or online. This website mygiftwithpurchase.com is the database that tells you when!! Haven't you ever wanted to purchase a certain department store cosmetic brand and was hoping you would get a freebie, i know i have. It won't be a problem for me anymore. Now i plan to purchase my stuff when i know there is a freebie coming with my purchase. I want that makeup bag and free samples!! Website Info To Pumpkin Patches and Pumpkin Farms! Most of you already know that Halloween is my favorite holiday!! Really i just love the whole Fall theme with all the beautiful colors and all the Apple and Pumpkin Picking that i just love to take my children to.Well if you want to find pumpkin farms, hay rides, corn mazes, and Halloween festivals,visit this fun website called PumpkinPatchesandMore.org. You can also find pumpkin weigh-offs, fall recipes, and Christmas Tree Farms. They have listings for every state in the U.S. and 6 other countries. If Apple picking Info is what you really want,then to find an orchard near you, try http://www.pickyourown.org./ This site also has crop calendars telling you what is available to pick at the orchards. They also have step-by-step directions for canning, making jams, jelly, apple sauce, apple butter, and 150 more recipes. If your not sure which foods freeze best or how to safely thaw meat. Well the United States Depart.of Agriculture food experts provide easy-to-understand guidelines for all your frozen food needs! Go to www.FSIS.usda.gov/factsheets/focus_on_freezing/index.asp to get all your questions answered. Thanks Woman's World Magazine for the info!! Send Halloween Candy To Our Troops!! Everyone if you want make our Troops feel like there sharing Halloween with us then Checkout this website for more info!! Go to http://www.treatsfortroops.info/ ! Our Troops enjoy receiving anything from home and it shows that WE THE PEOPLE have not forgotten about them! For the past couple of years, they have been collecting (left over) individually wrapped Halloween candy to use as filler in the boxes. Candy tastes better than packing “peanuts” and is environmentally friendlier. Of course it doesn't have to be left over candy if you just want to buy candy just for them, then just do it!! They will accept anything. You can also send them bath supplies,deodorants, razors,toothbrushes,etc!! Military Discounts Offered by Stores, Services and Online Sites! 2013 veterans and military discount list of hundreds of companies that offer military discounts to service members, retired military, veterans, spouses and their families. FactsUpFront.org: Nutrition Targets For The Whole! FactsUpFront.org is a website where you can know your daily limits for Calories, Sodium and Fat. You can choose the foods and the amounts that are right for you! This website also has Shopping Tips, Recipe ideas and more!! I found this website in one of my magazines and wanted to pass this info to you. I hope it helps you and your family out when it comes to eating healthy!